You are here: Home Technology News Wrist Piano or Nora the Cat Who Plays the Real Stuff? Comments Off on Wrist Piano or Nora the Cat Who Plays the Real Stuff? Wrist Piano or Nora the Cat Who Plays the Real Stuff? There are several things in this world that just doesnâ€™t make any sense, and science continuously churns out products that only add up to this belief. Take for example the case of Wrist Piano which is being spoken about a lot these days. 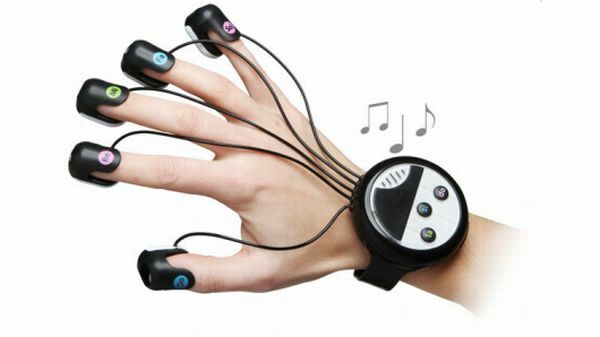 The weird gadget can be worn around your wrist in order to make music, what else! However, the piano comes with just 3 sounds including piano, bells and meowing. Why they had to choose the feline sound for a wrist piano is something that only the manufacturers can understand. This brings me to think that there is a cat named Nora, which plays music much better than most humans do. Nora Piano Cat is one of the most talented pianists out there, and when you listen to the feline play the piano, you would realize that even with the best grand piano in town you would still -play like one of those who have just begun to play! The Wrist Piano meanwhile can be bought for $39.99, and I am sure it would make for a great gift to someone who loves geeky things. If you however love real piano and real cats, you should be heading straight towards Nora Piano Catâ€™s Facebook page or her website where you could purchase some of her CDs and merchandise. I must tell you, that she is quite a celebrity and a very feisty one at that! I would say, cats play music much better than most people do, and Nora is the living proof for that!